Item number 2704/25 a-b from the MOA: University of British Columbia. 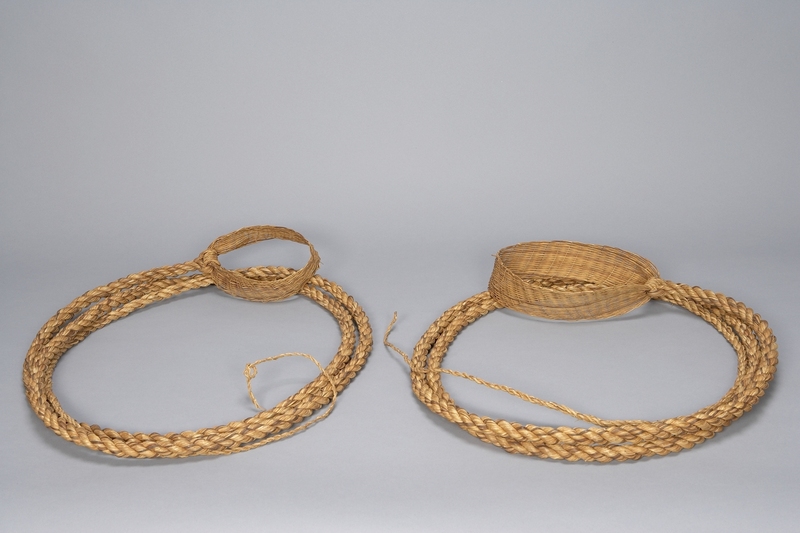 Woven ropes for climbing trees (part a-b). 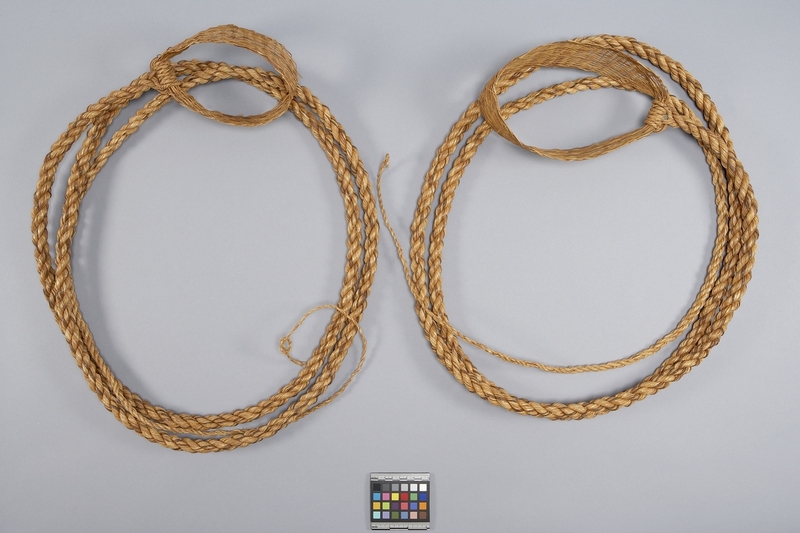 One end has a circular band attached to the rope. The other end thins to single strands.